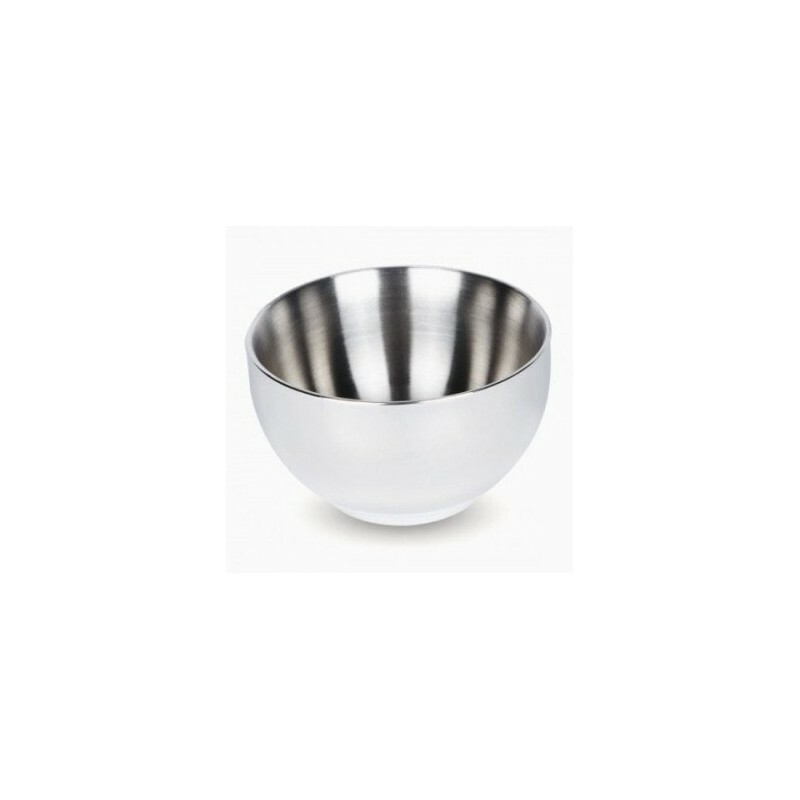 Elegant insulated double walled bowls with unlimited uses in the home and outdoors. Great for dips, sauces, baby food, ice cream, or anything you wish to keep warm or cold. The insulating double walls of this bowl help to keep hot food hot, and cold food cold. Your ice cream will last longer before melting! Made from high greade type 304 18/8 stainless steel (read more about stainless steel grades below). 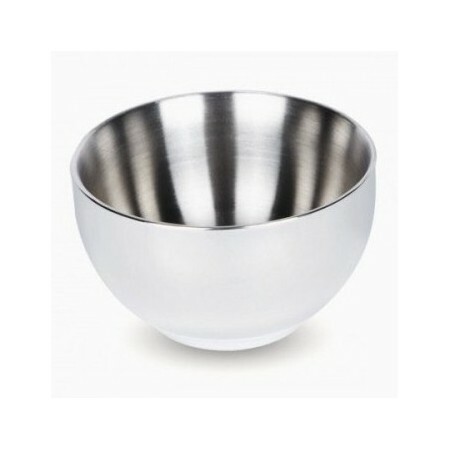 It is unlikley that this stainless steel bowl will ever reach the end of its useful life - but if it does, it is 100% recyclable. What is the best quality stainless steel? Stainless steel is an alloy made up chromium, steel iron (often mined in Australia), molybdenum, nickel and other metals. The number of the grade refers to the amount of chromium and nickel in the product. 18/0 (18% chromium, no nickel), 18/8 (18% chromium, 8% nickel), 18/10 (18% chromium, 10% nickel). Nickel is added to protect against corrosion and to give stainless steel its shine. If a magnet sticks to the stainless steel, it contains neglible nickel. If the stainless steel is not magnetic, then it contains nickel. High grade stainless steel is considered safe for use with foods and drinks because no chemicals can leach into your food from the material. Aside from being long lasting and easy to sanitise, it is resistant to corrosion from acids found in fruits and vegetables, meat and dairy products. Type 304 or Grade 304 stainless steel covers the numbers 18/8/, 18/10, which are the most common grades of stainless steel used for food preparation, dining and utenstils. 18/0 stainless steel contains almost no nickel (and thus not magnetic), making it more likely to rust athough still high quality. Food containers and lunch boxes made from 200 type stainless steel are quite common because 200 is less expensive than 304 grade due to manufacturers substituting manganese for nickel. Although food safe, they are not as resistant to corrosion and not as high quality. For those concerned about nickel in stainless steel cookware, it can consist of layers of aluminium or even copper sandwiched between 18/10 stainless steel shielded with a polished magnetic stainless steel exterior. This explains why a 18/10 pan can be magnetic.